to see and feel the superb design and engineering quality that goes into them. will fit both Metric and Imperial bolt head sizes. 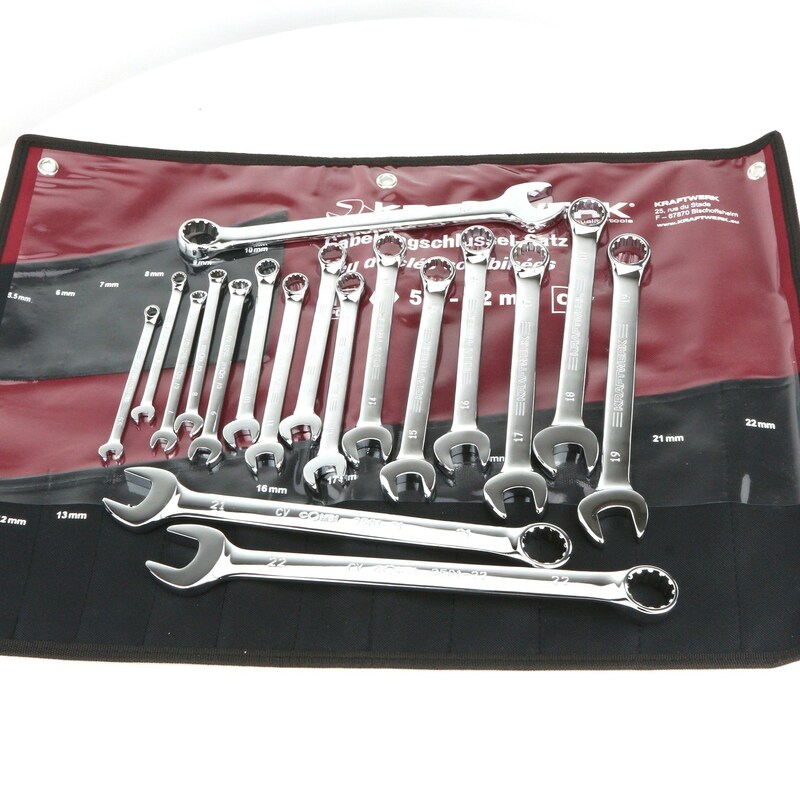 The secret lies in the clever, patented design of the 'points' in the Socket or Ring spanner. Thus a 13mm ring spanner will also fit a 1/2" AF nut and a 19mm will also fit 3/4". these wonderful tools it will be the last set you ever buy and they will serve you faithfully for a lifetime. and Imperial sizes from 5/32" to 7/8". TORX between E8 and E24 and XZN from M8 to M18. Supplied in a tough, fabric tool roll that you can hang on the wall.